I’m officially on Twitter now! I’ve thought about it for some time, one of my friends suggested I should, and after some serious consideration, I made a profile. My twitter username is Unseen__Unheard (Don’t be confused, there are two lines there, if you try with one line, you will find some Asian guy or something – I checked!). For those who can’t freaking find the link on their own, here it is! I will be writing in English, and some posts in Norwegian too, and that will most lightly be in my own dialect, so Google Translate won’t do you any good. It might, in fact, give the whole sentence another meaning or not make sense at all! I will be writing about anything, not just music and lyrics and stuff. 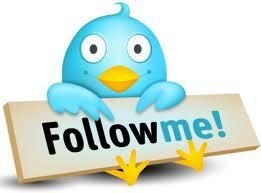 Hope you will follow me!